Senior reporter Hayley McDowell gives her view on the rise of cryptocurrencies and the increasing interest from institutional players. It’s strange to think that not too long ago terms like cryptocurrency, digital asset and Bitcoin were of little interest to the financial industry. But these days, everybody is talking about crypto, from the latest price swings and scandals to any sniff of potential regulatory oversight and intervention. It’s been no different here at The TRADE. What started out as news coverage of the budding potential of Bitcoin’s underlying blockchain technology to revolutionise the financial services world has now shifted towards seeking tangible methods and services for institutional investors to trade cryptocurrencies. 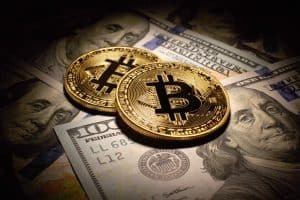 News of Cboe and CME Group launching Bitcoin futures late last year arguably marked the beginning of this shift, alongside the US financial watchdog’s decision to shut down the possibility of a Bitcoin exchange-traded fund (ETF) launch due to regulatory, valuation and liquidity fears. Those fears remain the same today. For institutional investors looking to enter the crypto space, a regulatory endorsement could prove to be a game-changer. A leading exchange operator’s markets division head told delegates at a conference I attended recently in London that despite regulators halting any progress to launch Bitcoin ETFs, Bitcoin futures will help put some kind of regulatory framework in place for cryptos on listed exchanges. In other words, Bitcoin futures could lay the groundwork for an even greater crypto ecosystem in the very near future. Certainly we can expect more major banking players to launch their own crypto futures product, whether that be for Bitcoin or other digital assets like Litecoin or Ethereum, but a shift towards institutional trading of cryptocurrencies requires far more work. Bitcoin futures may go some way to breaking down any resistance but ultimately regulatory oversight of cryptocurrency trading is arguably the greatest barrier for institutional investors. Cryptocurrencies are global in nature, but financial regulation is far more regional and fragmented. It’s hard to imagine regulatory consistency and convergence on the same scale as the global crypto market, but unlocking that potential cross-border business on the institutional side of the industry could catapult crypto to new heights. Of the trading desks we asked about their entry, we received feedback such as “we’re taking a wait-and-see approach” and “there’s no need to be first to the party”. But many agree that client interest will eventually force them to get involved. I must confess the growth of the crypto universe has indeed captured my attention over the past year, along with so many others, and (luckily for me) there have been some interesting developments around crypto at The TRADE. This includes the exciting launch of our new website, The TRADE Crypto, on 2 July, which will bring the buy-side community news about the growth, progress and future of global institutional cryptocurrency trading. It seems quite far-fetched at this point in time to imagine traditional asset managers dipping their toes into Bitcoin, but with the pace the crypto industry has been moving at over the past year or two, I certainly wouldn’t rule anything out. John Brazier casts a weary eye over some of the week’s news stories (or just the biggest one). John casts a weary eye over some of the week’s news stories. John introduces himself as the new editor of The TRADE. Chris Sparrow and Henry Yegerman from LiquidMetrix look at control using transaction cost analysis and best execution. Who could succeed Xavier Rolet as LSEG’s CEO? We look at some of the potential candidates suited to lead the London Stock Exchange Group into its next chapter. The British and Irish Lions, a touring rugby union team comprised of the best of breed in England, Ireland, Scotland and Wales, was subject to a rallying call in 2013 by one of the coaches whereby he forcefully instructed the players to put their opposite Australian numbers into the “hurt arena,” which they duly did. The comparisons between the then deflated Australian rugby team and active asset managers is quite fitting, certainly in the UK.